after Graduating from ccad I worked at Unit 70 Studios in Columbus, Ohio. This job was gained through my senior capstone thesis film about the Practical Effects Industry. 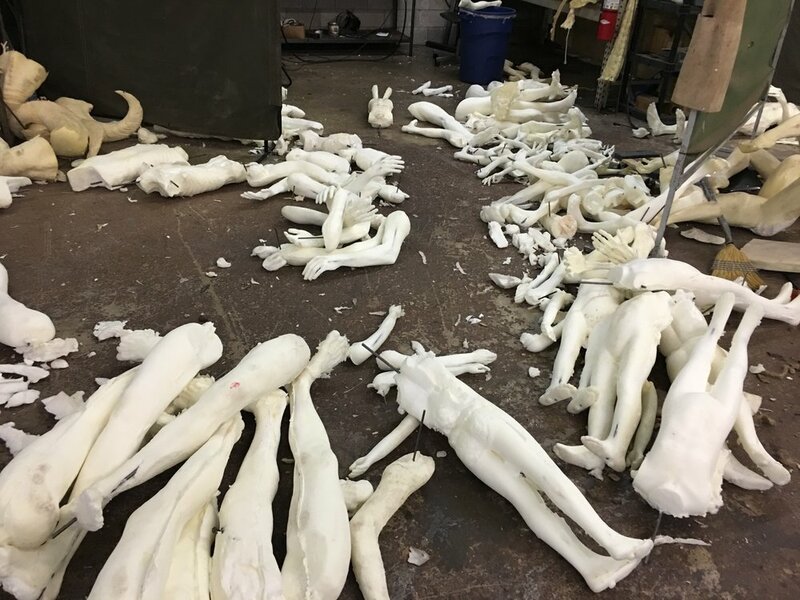 During my time at Unit 70, I cast both foam and latex heads and bodies, painting in liquid latex, and base coating and other dry brushing techniques. I molded and cast in both Silicone and ultracal molds. This work experience was a great COmplement to my formal schooling and after my employment at unit 70 studios i have used some of these techniques on personal projects.